Looking for reliable tourist information for Amsterdam? This concise Amsterdam tourist guide gives the 10 most important tips on Amsterdam tourism. A good way to get reliable and up-to-date tourist information for Amsterdam is to rely on the state-run tourist information office, the Amsterdam Tourism & Convention Board (ATCB). From it's three Amsterdam offices, the easiest ones to find are those located at Schiphol Airport, and just outside the main exit of Central Station (at the Stationsplein). Not only will you receive leaflets and brochures in several languages with tourist information for Amsterdam, but they can also book hotels, excursions, concerts, etc. for a small fee. 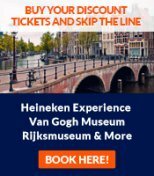 Amsterdam's exceptionally rich cultural offer can be best enjoyed by accessing the advantages provided by the several discount cards and passes available for tourists. The I Amsterdam Card is a chip-card, a transport ticket, a pocket guide and a discount card all-in-one. It offers free access to over 30 tourist attractions and discounts for another 20. They are valid for 24 hours (€ 55,-), 48 hours (€ 65,-), 72 hours (€ 75,-) or 96 hours (€ 85,-). Get your I Amsterdam Card in advance and order it here. The most common opening times for retailers are 10.00 to 17.00, from Monday to Sunday. Thursday however, on shopping night (koopavond) shops close at 21.00. Opening times at supermarkets depend on the chain they belong to but they can be open from 08.00 up to 22.00 (e.g. the well-stocked Albert Heijn supermarket behind Dam Square). Banks are usually open Mon-Fri between 10.00 and 17.00. Museums and other attractions have particular opening times but as a rule the state-run museums are closed on Mondays and usually once a week have longer opening times so as to allow for late visits. Although Amsterdam has a low criminality record compared to other European capitals, the best way to ensure a problem-free vacation is to avoid trouble yourself. That is why it is advised that you leave your valuables in your hotel's safe deposit. 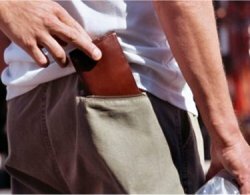 Pickpockets are active at e.g. 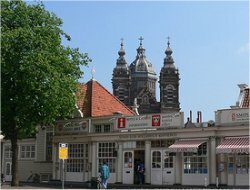 the Central Station, the Red Light District and large tourist squares like the Rembrandtplein and Leidseplein. Any guide on tourist information for Amsterdam will warn you against taking photos of the working girls while strolling in the Red Light District as this can lead to serious troubles. Expect verbal abuse at the least, or to get your camera thrown in the canals. It is strongly advised that you report any injury, theft and lost property to the nearest police station so that the appropriate measures are taken in the shortest time possible. At the police station you will be helped to cancel credit cards and receive information on how to proceed according to your specific case. In the Netherlands the emergency phone number is 112. 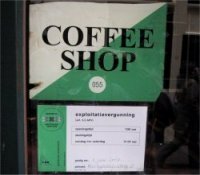 While soft drugs are tolerated in Amsterdam and can be purchased openly in coffee shops, hard drugs are prohibited in the Netherlands. That is why you should refuse any offers to buy hard drugs such as cocaine, heroin, LSD and ecstasy as they often are fake and you will not be able to reclaim your money. Only buy soft drugs at the publicly recognizable coffee shops - they are licensed (see picture) and will at least actually sell you what is advertized. Drinking on the streets is prohibited, including/especially in the Red Light District and whoever does not comply can be fined. However, in practice only very drunk and/or very loud people are arrested. That means you can enjoy sipping a beer in the park with your friends if you behave appropriately. Another behavior that is not tolerated in Amsterdam and can be fined with  50 is that of urinating in public. The city provides numerous public toilets placed in areas with heavy tourist traffic and additionally every police station has facilities that can be used by tourists. A tip: If you ask café owners politely while offering a 50 eurocent coin, you can almost always use their toilet without ordering something (if you're in a hurry). Even if your are a tourist, if you park your bike outside designated racks your bike may be picked up and taken to the Bike Depository (Fietsdepot) of the city administration (AFAC). This is especially true at Amsterdam Central Station, where you have to park your bike in the huge "bike flat" at the station's west side (see picture). Apart from the 10 fine that you will have to pay as administration costs the whole affair will cost you several hours as the Bike Depository is situated outside of Amsterdam, in the harbour area (Bornhout 8). Looking for more tourist information for Amsterdam? See our pages about attractions in Amsterdam and Amsterdam tourism.